This article may be three years old, but with the recent developments in the last few years alone I wanted to go over what we now know and see how it aligns with some of the information in this article. Since Corey Goode has come out of the woodwork, he’s revealed a great many things that support what is said in the below article. For one, he’s revealed that the Nazis did develop a Secret Space Program. He also confirmed that the United States did hire Nazi Scientists via Operation Paperclip to create their own Secret Space Program. They were able to create many exotic technologies including Anti-gravity engines, worm hole technology and replicators. We also have Williams Tompkins a recent whistle-blower who supports much of Corey Goode’s claims. For instance, they both share that the Nazis had two Secret Space Programs. One was a civilian based program ran by Maria Orsic under the Vril Society and the other was led by Nazi SS. Corey Goode also confirms Cobra’s account that the Nazi branch of the Secret Space Program did indeed make several alliances with both underground based terrestrials and extraterrestrials. One that Corey mentioned was in fact, a Draconian race. So this seems to correlate with what Cobra shared three years ago and remember this was before Corey Goode revealed his role in the Secret Space Program. Corey Goode and William Tompkins also shared that Operation Highjump led by Admiral Byrd was an attempt to find and destroy the Nazi base in Antarctica. They failed in this endeavor and eventually had to try a new strategy which was to infiltrate and sabotage the Nazi group. The Nazis had the same idea for the United States. When the Nazi personnel were brought over via Operation Paperclip; they proceeded to take over the Military Industrial Complex(MIC) and were successful in this endeavor. The United States failed for the most part in their attempt to infiltrate the Nazis. This happened during Eisenhower’s presidency and he warned the American People about the Military Industrial Complex in his farewell address on Jan. 17 1961. That was the point when we lost control of the MIC. Since then the MIC has been operating as a rogue entity with very little oversight. The above photo is from the OMNI magazine, Sept. 1983, p80. Much of what Cobra has shared long ago is starting to be supported by other whistle-blowers. 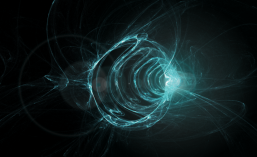 These are very exciting times and much information that was once coveted and secret is starting to come to the surface. It’s of my opinion that we’re very close to disclosure, the amount of information being released is incredible and its been very hard to keep up with it. We live in exciting times and I look forward to the day when the Truth will be set free for all to see. Time has come to finally release some intel about the secret space program. The hidden purpose of the secret space program was to set a stage for the Draconian/Reptilian takeover of the planet. The takeover attempt has failed and soon the Light forces will clear the last vestiges of the Draconian control of this planet – the Cabal. We have another whistle-blower by the name of William Tompkins. He confirms much of the information that was released by Corey Goode and others. Tompkins shares that the Nazis developed anti-gravity engines that allowed them to go into space and gain an edge in the war. Tompkins confirms what others have said, that being Maria Orsic was in charge of the Vril group that created the Vril Saucer. Tompkins also said the Nazis knew they were going to lose the war and decided to move their most valuable resources to their base in Antarctica called New Swabia. Where they would continue their studies and experiments. William’s testimony also correlates with what Corey Goode said about Operation Highjump. That it was an attempt to find the Nazi base and destroy it, but this ended in failure. Very interesting information in this article that really deserves our attention. It’s always nice to see more insiders come forward and reveal what they know. When I see this, it only confirms to me, that disclosure is coming soon. We’re almost there my friends, let’s just keep holding on! Tompkins story begins in 1932, when he was only nine. He says he was taken by his father to the Naval shipyards in San Diego where he began the first of many public tours of destroyers, cruisers and aircraft carriers that were periodically docked. The public was not allowed to take photos of the ships whose gun placements and radar designs were still classified. Possessing a photographic memory, Tompkins says that he walked all around the ships and took notes of what he observed, and soon after began reproducing the ship designs. 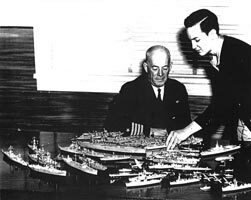 Eight years later, Tompkins had built many flawlessly accurate detailed models of the navy ships he had seen, and his father was selling them in a Hollywood Department store. In his December 14 interview on Rense, Tompkins claims that he sat in on meetings attended by Admiral Obatta, one or two Captains, and the naval operatives reporting on what they had observed in Nazi Germany. Tompkins’ job was to reproduce the complex designs which were either described by the naval operatives or contained within the documents they possessed, and then take these reproductions to different corporate Navy contractors. The contractors would proceed to design, reproduce and test various elements of the anti-gravity spacecraft, which were at various stages of production in Nazi Germany facilities in Europe, South America and Antarctica. In 1939, Tompkins asserts that the Nazi SS was given the location of three large caverns in Antarctica by the Reptilians, and proceeded to move the bulk of the German secret space programs there. By 1942, when it became clear that the war was lost, the Nazi’s accelerated their efforts to relocate the best scientists, engineers and vital resources to Antarctica through specially built submarines capable of carrying very large cargoes. Tompkins learned that the Germans achieved great success and failures in their space program efforts. Of particular note was the first space flight to Mars in late April 1945, which had a crew of 30, including three Japanese astronauts. This stunning achievement ended in disaster when the spacecraft crash landed, resulting in the death of the entire crew. After he reproduced the ship design information he had gained from the covert Navy operatives spying on the German space programs, Tompkins says he then took these designs to various top secret corporate facilities. These included Douglas Aircraft Company at El Segundo and Santa Monica, Lockheed, and an underground facility run by Caltech at China Lake. From 1952 to 1958, Tompkins was employed as a draftsman with the Douglas Aircraft Company. Here he says that he worked with two attractive female Nordic extraterrestrials who were employed as secretaries, and they telepathically guided him in the designs for the more advanced space craft that would eventually be secretly built by the U.S. Navy. Tompkins story sounds incredible, but key elements have been verified by the book’s editor, Dr Bob Wood who first began investigating Tompkins’ claims in 2009. Serendipitously, Dr Wood was employed with Douglas Aircraft (later McDonnell Douglas) over a 43 year period, and worked at Douglas at the same time as Tompkins, even though the two had never met prior to 2009. Dr. Wood was able to corroborate the names of engineers, scientists and projects at Douglas, which Tompkins referred to. Tompkins was also able to supply documents that confirmed that he was in charge of a U.S. Navy project in 1945, as he claimed, and that Douglas was interested in designs of kilometer long spacecraft. According to Goode, he learned about the history of the secret space program he served on from “smart glass pads” that he was given access to during his covert service from 1987 to 2007. These smart glass pads contained intelligence briefings, which Goode later revealed in his testimony. The information closely corresponds to what Tompkins says he heard at the debriefings of covert naval operatives working in Nazi Germany up to 1945. Tompkins claims are truly extraordinary revelations by a former employee of Douglas Aircraft Company and other aerospace companies working on classified programs for the U.S. Navy. The fact that his claims have attracted the support of Dr. Robert Wood, another former Douglas Aircraft employee, is highly significant. Written by: Michael E. Salla, Ph.D.